Prior to SurveilStar installation, database must be installed on the SurveilStar Server. Either free express edition or paid enterprise edition will be OK. So far, SurveilStar can work with free SQL servers including Microsoft SQL Server 2000 Desktop Engine (MSDE 2000), SQL Server 2005 Express Edition and SQL Server 2008 (or R2) Express Edition as well as work with professional SQL Servers including SQL Server 2000 SP4, SQL Server 2005 SP1 or above and SQL Server 2008 (or R2) or above. 1. MSDE 2000 SP4 is included in SurveilStar setup file, so you don't need to download. 2. If you use SQL Server 2005 Express SP1 or SQL Server 2008 (or R2) Express, you can download it from Microsoft's official website. Since the MSDE 2000 is included in SurveilStar setup file, simply download SurveilStar setup file and double click to launch setup. Go straight and you will see a step like following picture. Please make sure Microsoft SQL Server 2000 Desktop Engine(MSDE) is checked. Otherwise, SurveilStar won't work properly. Please note that SQL Server 2000 Desktop Engine can only store 2GB data and it's not compatible with Vista, 7 or 2008 server. If you intend to use Vista, Windows 7 or Server 2008 as Surveilstar server, please use SQL Server 2005 Express or SQl Server 2008 (R2) instead. 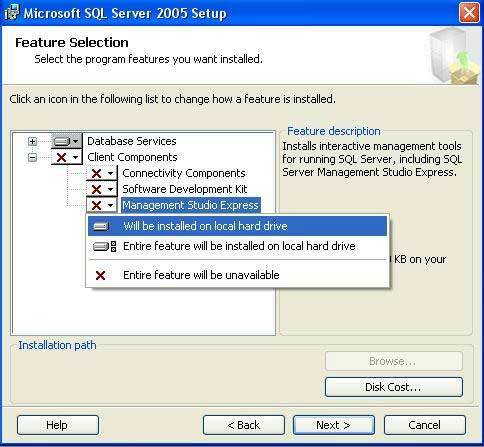 Before installing SQL Server 2005 Express, please make sure you have installed following components, otherwise, the system won't allow you to install SQL Server 2005 Express. 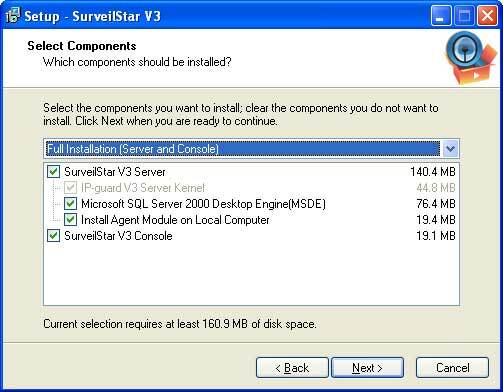 Installing Microsoft SQL Server 2005 or higher version should be carried out before installing Surveilstar Server. There are some configurations you need to pay attention to, otherwise, the SurveilStar server may not work correctly. Please follow the steps below. Step 1: Download Microsoft SQL Server 2005 SP1 or higher version and double-click to launch the installation. Step 2: After extracting files, check “I accept licensing terms and conditions” and click “Next”, click “Install”, and then click “Next” in the wizard dialog, after “system configuration check”, you will go to the step as the picture below. Step 3: Enter your Name and Company information, uncheck “Hide advanced configuration options”, and click Next button. Step 4: Unfold Client Components, and install “Management Studio Express”. After select “Management Studio Express Will be installed on local hard drive”, click Next button. Step 5: Please set “Instance Name” to “Default instance”, click Next button. Step 6: In the Service Account, please set “Use the built-in system account” to “Local System”, and click Next button. Step 7: In the following steps, you can use default settings to go forward to the end. Note: You don’t need to check “Microsoft SQL Server 2000 Desktop Engine (MSDE)” any more when installing SurveilStar Server. Before installing SQL Server 2008 (R2) Express, please make sure you have installed following components, otherwise, the system won't allow you to install SQL Server 2008 (R2) Express. After installing the componets below, please restart your computer at first, then you can go on installing SQL Server 2008 (R2) Express. Download and install Microsoft .Net Framework 3.5 SP1 or newer version. SQL Server 2008 R2 Express is available on Microsoft's official webiste. You can download it from HERE. Installing SQL Server 2008 R2 Express or above, your computer should meet the following system requirements according to Microsoft's introduction. CPU: Computer with Intel or compatible 1GHz or faster processor (2 GHz or faster is recommended.) for 32-bit systems, 1.4 GHz or faster processor for 64-bit systems. Hard Disk Space: 2.2 GB or more. Installing Microsoft SQL Server 2008 R2 or higher version should be carried out before installing Surveilstar Server. There are some configurations you need to pay attention to, otherwise, the SurveilStar server may not work correctly. Please follow the steps below. 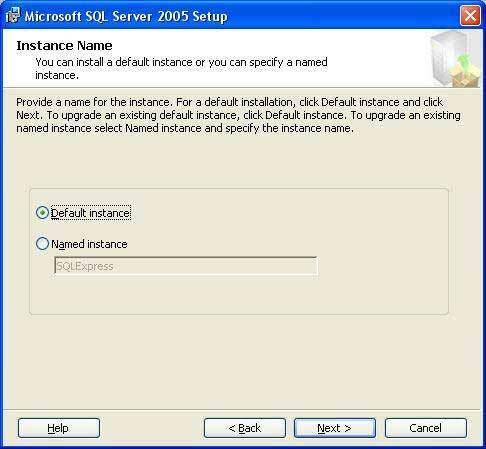 Step 1: Download SQL Server 2008 R2 Express and double-click to launch the installation. Step 2: After extracting files, you will go to License Terms dialog. Check "I accept the license terms.". Step 3: Setup Support Files: The support files are required to setup or update SQL server. Step 4: Setup Support Rules: Make sure there is no failed items. Failures must be corrected before setup can continue. Step 5: Feature Selection: By default, all the features are selected. It's OK. Step 6: Instance Configuration: If you select Default Instance, please set Instance ID to SQLEXPRESS. If you select Named Instance, please set Named Instance to MSSQLSERVER and set Instance ID to MSSQLSERVER. Step 7: Disk Space Requirement: Installing 2008 R2 Express requires 4558MB or more. Please make sure you have enough free space. 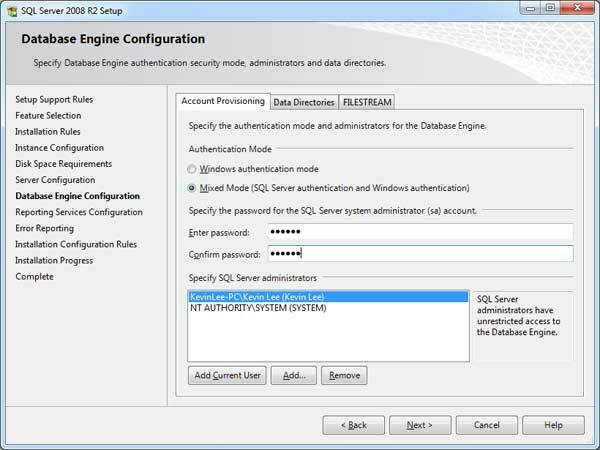 Step 8: Server Configuration: Set SQL Server Database Engine and SQL Server Reporting Services to System. Step 9: Database Engine Configuration: Set Mixed Mode. 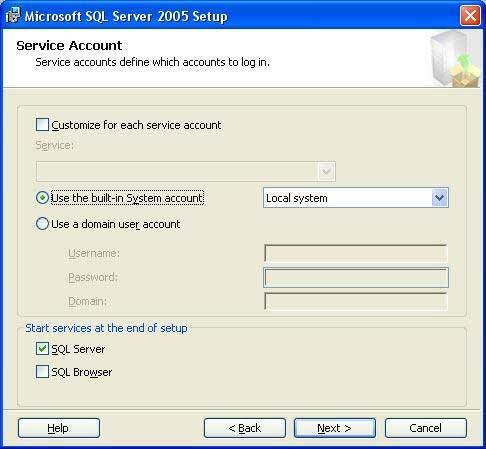 In Specify SQL Server administrators dialog, we recommend you Add Current User as well as add System account. Step 10: Reporting Service Configuration: If you don't have special requirements, go next. Step 11: Error Reporting: Go next step directly or check the option you need. Step 12: Installation Configuration Rules: If there is no failure, go next. Step 13: Installation Progress: This may take a few minutes and please wait till it's done. 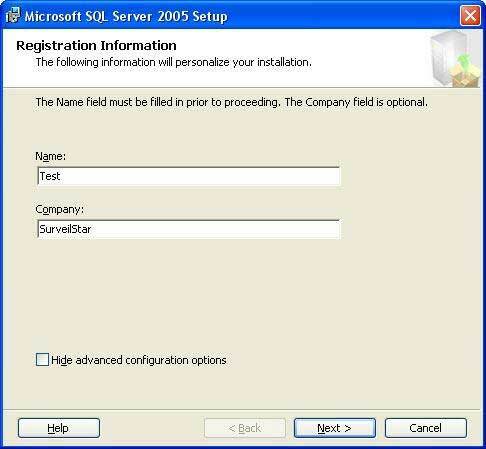 After SQL Server 2008 R2 is successfully installed, you can now go to install SurveilStar Server. Installing SQL Server Enterprise Edition is similar to installing SQL Server Express Edition. If you are using any paid SQL Server(Enterprise Edition), please make sure the special configurations mentioned in Express Edition above are done in the same way. Please refer to the instructions above respectively according to your SQL Server version.